I can brainstorm an entire story using words like hero, heroine, hero’s best friend, heroine’s mother, the bad guy, etc. But once I start actually writing, I need names for my characters. And thinking off the top of my head, my brain tends to freeze and come up with nothing. So, sitting on my desk within arm’s reach, I have The Last Word on Baby Names by Linda Rosenkrantz and Pamela Redmond Satran and The Baby Name Survey Book: What People Think About Your Baby’s Name by Bruce Lansky and Barry Sinrod. I picked up these particular books years ago when I was pregnant. While they have outlived their purpose in my personal life, they have become a staple in my writing life. There are no “rules” for naming characters, but over the years I’ve incorporated some guidelines that I hope make for a better reading experience. The names of the hero and heroine begin with a different letter. If possible, I try to have every character in the book start with a different letter. Although I sometimes have secondary characters with the same beginning letter, I try not to do it too often. Anything I can do to help the reader keep the characters straight translates into a better reading experience and more enjoyment of my books. Give names a different cadence and length. No to Melanie and Valerie. No to Kate and Nate. No to Max, Sam and Pat. Yes, to Melanie, Kate and Samantha. In the front of The Baby Name Survey Book, there is a “First Impressions of Girl/Boy Names.” I often use this as a starting point. If my heroine is smart (and what heroine isn’t?? ), I look at the list of “smart” girl names and see if any of them speak to me. For last names, I try to follow similar guidelines. I often use this website of common surnames to come up with possibilities. If you start with a character name and later realize it is less than ideal, “find and replace” is a wonderful word processing feature. When I sold the proposal for A Man Worth Fighting For, the heroine’s name was Cassie. Two-thirds of the way through writing the book I had to change it. Two secondary characters in the Wiccan Haus world already began with a C, and having them both in the same scene with her was too much C for me. A consultation with my baby name reference books and a quick “find and replace all,” and Cassie was reborn as Holly. 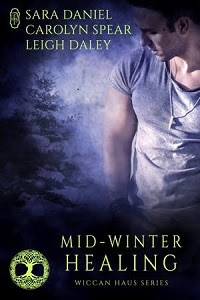 For the Romance Madness Hop, I'm going to do one better that tell you why I love a romance book, I'm going to tell you why I love an entire romance series, specifically The Wiccan Haus series. The Wiccan Haus is a paranormal shared world series, so many book will be written by a handful of different authors. The books are stand alones and can be read in any order, but it is encouraged to read Shifting Hearts first as it will introduce the readers to the world of the Wiccan Haus and its residents. 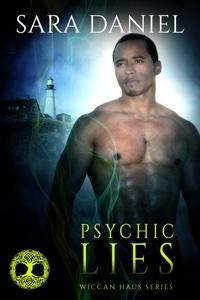 The cast of continuing characters are quirky and well-loved that I feel like I am visiting an old friend every time I write a new book, and I get to see each character in a new light when I read Wiccan Haus books by other authors. 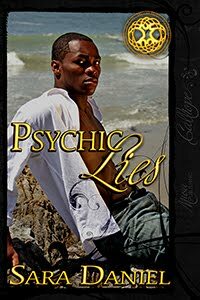 I will be giving away a copy of Psychic Lies to one random person who leaves a comment telling me their favorite romance series and subscribes to my newsletter by entering their email address on the right side of this blog. For extra Brownie points, like my page on Facebook, follow me on Twitter, and follow my blog here. Make sure to include your email address and your preferred file type (Kindle, Nook or pdf) in your comments. Contest is open internationally. Last week we talked about goals, motivations, and conflict making up the core of a story. Story structure is essentially framework that holds up this core, a map if you will from the beginning to the end of your story. If you take a minute and Google images for “story structure,” you’ll see graphs, triangles, circles, connect-the-dots, etc. All of these methods must have worked for someone, and many of them share very similar elements expressed in different ways. I’m not going to tell you that a certain method must be used to structure your story. That’s for you to experiment with and discover what works for you. I will tell you that I am a huge fan of Michael Hauge’s Six Stage Plot Structure. You can see the image here, and you can read the application of each stage and the corresponding five turning points for the movies Erin Brockovich and Gladiator here. If you feel like you’re muddling through your book and you’re not sure how far along your story should be progressing by now, I highly recommend borrowing Michael Hauge’s brilliance to reorient yourself. My friends once pulled me out of line at a writers’ conference to drag me to his workshop with the promise that what he had to say was so good “it will change your life.” I won’t go that far, but if you ever have the opportunity to hear him speak, I emphatically urge you—DO NOT pass it up. Once upon a time, there was a girl who loved to write. But she thought being an author was only for special people, not an ordinary girl like her. 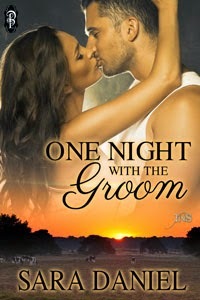 So, she got a business degree and took an office job, but secretly when no one was looking, she spent every free minute writing the romance stories she loved to read. One day she left the office job to focus on raising her family, but she still spent every free moment writing. Then one day she learned that there were other ordinary people just like her who wanted to write, who called themselves writers, who were even--gasp!--authors. She joined their group and learned everything there was to know until she found she was not so ordinary and that, in fact, she was a very special author. 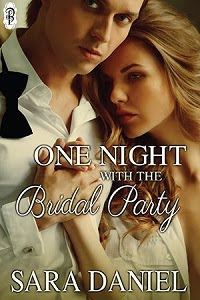 Thanks for joining me on this blog hop in my "happily ever after" as I celebrate the release of a set of books from Musa Publishing's Finally Ever After series about characters who, like me, also had to wait years to get their happily ever after. I will be giving away a copy of Zane's Art to one random person who leaves a comment telling me their personal happy ending story and subscribes to my newsletter by entering their email address on the right side of this blog. For extra Brownie points, like my page on Facebook, follow me on Twitter, follow @ReadingRomances on Twitter, and follow my blog here. Make sure to include your email address and your preferred file type (Kindle, Nook or pdf) in your comments. Contest is open internationally. "Obsession can be a good thing," says author Liz DeJesus. Liz, please explain! Anyone that knows me, knows that I love fairy tales. Actually I take that back...I'm obsessed with fairy tales. One of the first books that I ever bought with my allowance was English Fairy Tales. It was hard cover, with yellow cloth and it has a picture of a giant holding a tiny ax. I was eleven years old at the time. I was lonely, nerdy, didn't fit in with anyone at school and the only escape that I had was in books. 1. Snow White ~ First story I ever read that featured a brunette. But I like Snow White because she is complicated; she lost her mother, and then her father. She was left with a hateful stepmother that envied her, tried to kill her and she overcame all of these different obstacles: being poisoned with a comb, strangled with ribbons and then ultimately killed with a poisoned apple. I think it was Snow White's vanity that killed her (because the seven dwarves warned her not to let anyone in and she disobeyed). She had a lot of harsh lessons to learn. This is why she's my favorite princess. 2. Alice in Wonderland ~ This story is just plain fun. White rabbit, mad hatters, talking caterpillars (that smokes a hookah, thankyouverymuch), a crazy-head-chopping queen of hearts and a very confused little girl named Alice. 3. Toads and Diamonds ~ This was one of the first fairy tales I read and was absolutely fascinated by the story of these two sisters. This fairy tale is a little obscure so if you've never heard of it, here's a little info I got from Wikipedia. I first read about it in Michael Hague's Tales of Charles Perrault. A bad-tempered old widow had two daughters, her older daughter was disagreeable and proud but looked and behaved like her mother, and therefore was her favorite child. She and her eldest daughter badly mistreated the woman's younger daughter, who was sweet, courteous, and beautiful, but resembled her late father. One day while drawing water from the well, the younger daughter was asked for a drink by an old woman. The girl politely consented and after giving it, she found that the woman was a fairy, who had taken the guise of a crone to test the character of mortals. As the girl was so kind and compassionate toward her, the fairy blessed her with having either a jewel, a diamond or a pretty flower fall from her mouth whenever she spoke. Upon arriving home and explaining why she took so long to her mother, the widow was delighted at the sight of diamonds, pearls and roses falling from the girl's lips, and desired that her favored eldest daughter, Fanny, should have the gift as well. Fanny protested, but the widow forcibly sent her to the well with instruction to act kindly toward an old beggar woman. Fanny set off but the fairy appeared as a fine princess, and requested that the girl draw her a drink from the well. The elder daughter spoke rudely to the fairy and insulted her. The fairy decreed that, as punishment for her despicable attitude, either a toad or a snake would fall from Fanny's mouth whenever she spoke. 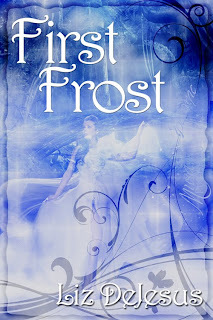 I'm using these characters in the sequel to First Frost. Safe to say...I'm having tons of fun. 4. The Three Heads of the Well ~ I like this story because the main character sets out to seek her fortune. In the days before King Arthur, a king held his court in Colchester. He had a beautiful daughter by his beautiful wife, but when his wife died, he married a hideous widow with a daughter of her own, for her riches, and his new wife set him against his daughter. His daughter begged leave to go and seek her fortune, and he permitted it, and his wife gave her brown bread, hard cheese, and a bottle of beer. She goes on her way and sees an old man sitting on a stone. When he asks what she has, she tells him and offers him some. After they eat, he tells her how to get through a hedge, and that she will find three golden heads in a well there, and should do whatever they tell her. The heads ask her to comb them and wash them, and after she does so, one says she shall be beautiful, the next that she will have a sweet voice, and the third that she shall be fortunate and queen to the greatest prince that reigns. She goes on, and a king sees her and falls in love with her. They marry and go back to visit her father. Her stepmother is enraged that her stepdaughter and not her daughter gained all this, and sent her daughter on the same journey. The daughter was rude to the old man, and slighted the three heads, and they curse her with leprosy, a harsh voice, and marriage to a cobbler. She goes on. A cobbler offers to cure her leprosy and voice if she will marry him, and she agrees. Her mother, finding she had married a cobbler, hangs herself, and the king gives his stepdaughter's husband a hundred pounds to quit the court and live elsewhere. 6. Snow White and Rose Red ~ Sometimes they refer to Snow White as Rose White. I like this story because they seem to get into mischief with the dwarf. Some of my favorite stories have bears in them. LOL. I wonder what that says about me? Hmmm...I wonder. 7. Cinderella ~ Classic fairy tale. It has everything, wicked stepmother, wicked stepsisters, glass slippers, fairy godmothers, a ball, and a prince. What's not to love? Anyway, those are just some of my favorites, I had to stop myself from adding more because otherwise this would’ve been a ridiculously long post. I guess some people would find my fascination with fairy tales strange, but I think we all need a little magic and whimsy in our lives. This is why books are crucial to our existence. It's a safe way to escape. You might wonder why so many writers use fairy tales in their writing. My response? WHY NOT! All of these stories are just an endless fountain of inspiration. I can only hope that you all enjoy my book First Frost, all I ever wanted to do was have a bit of fun and entertain people with my work. Run, do not walk! Run to get your hands on this book! 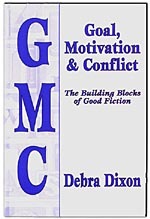 No other book has made such a huge impression on me as a writer as Debra Dixon’s Goal, Motivation & Conflict: The Building Blocks of GoodFiction. What I learned from this book turned my writing from unpublishable to being seriously considered by editors and agents. You can read the book or Google “goal, motivation, conflict” to find in-depth analysis and even worksheets on how to apply these concepts to your story. But here are the basics. What does your main character want? That’s his/her goal. Why does the character want these things? That’s his/her motivation. What stands in the character’s way of achieving what she wants? That’s the story conflict. If you’re writing a romance, the hero and heroine should each have their own goals and motivations, which should bring them into direct conflict with each other. Put it all together and you have a compelling, believable story. The book category for January's challenge was marriage of convenience, so I picked up Three River Ranch by Roxanne Snopek. 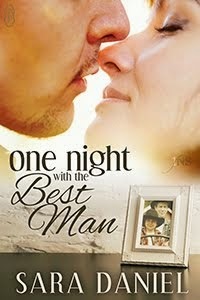 Here's the tagline: To save his ranch, he needs a wife. But can she save his heart? Oh my gosh, so perfect, right? Having read of few of these marry-to-save-the-ranch books over the years, I thought I knew exactly how the story was going to unfold. I was surprise and delighted to find that I was wrong. The author twisted this tried-and-true premise with an engaging plot and spunky, likable characters. I highly recommend it to fans of sweet category romance. Vonnie Hughes and Musa Publishing are delighted to present CAPTIVE, a new Aurora Regency, for your reading pleasure. “Don’t be such a bore, Lexie. ’Tis a great joke! For once, Papa will thank us. Especially when he finds out who it is we’ve trussed up.” Emmaline laughed her silvery, seductive laugh that drove men wild and irritated women. “Are you out of your mind?” rasped an angry voice from the darkest corner of the garret. “Ah, you’re awake!” trilled Emmaline. Alexandra Tallis gulped. She was doing her best not to look at the near-naked man half-hidden in the shadows. But her eyes refused to behave. Stripped to the waist he was a wondrous sight, all muscle and taut sinew. His arms tensed and strained as he struggled to escape. “Get me out of here,” he snarled. Alexandra blinked and looked more closely, but her eyesight was not the best. She lifted a candle from the wall sconce and took a step forward. And another. He swiveled his head to look in her direction. “Sense at last. Yes, I’m bleeding. I’d be obliged if you’d free me from these bl—these ridiculous bonds.” There was a clank and rattle as he tried to move. Gracious! Emmaline hadn’t just tied the man up—she had chained him. Alexandra closed her eyes for a few seconds. “Yes, actually. He did,” the man muttered. Okay, this sounds obvious, but if you want to write books that you intend for others to read, YOU should read a lot too. I see time and again, though, that people who used to be voracious readers suddenly haven't read a book in months once they become writers. Part of the reason is simply time. You have to set your priorities. Read or write? Well, to be good--no, great--writers, we need to read to know the market, to analyze how other authors master plot, character, pacing and many other writing techniques. I'm as guilty as anyone else of not reading as much as I once did. I'll probably never again consistently read seven to ten full length novels a week. However, I can certainly manage a book or two a month. To hold myself accountable, I've decided to enter the Reading Romance Challenge 2013. I won't post long, detailed reviews, and if I didn't like a book I read during the course of this challenge, I won't mention it or the author by name. As an author myself, I've made the personal decision never to publicly say anything less than complimentary about another author or their work. 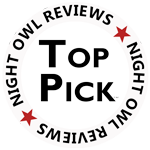 I am not a reviewer. 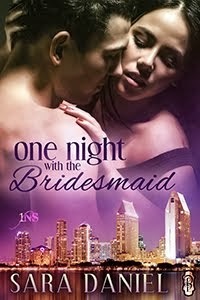 I am an author, a reader, and a lover of romance novels. To the right are the suggested categories of romance to read each month for this challenge. I'll do my best to follow it and report back each month. More importantly, I'll be reading, keeping my finger on the pulse of the market and remembering why I chose to begin writing in the first place. I am so excited that Nya Rayne's addition to the Wiccan Haus is finally here. For those who are keeping track, here are the Wiccan Haus books, in order as they were released. They are all stand alone books and can be read in any order. He has three days to win her heart or lose everything...including his life. He's roamed the earth for over three millennia alone, praying to one day find the other half of his soul. The one woman who would make his deadened heart beat once more. He never imagined he’d find her in a bloodied heap beneath the claws of a despicable Yazaron, the very bane of his existence. He saved her and as a reward was given three days to make her love him or he would cease to exist. Literally. She spent those three days in ICU fighting for her life. And now when his time left on earth is borrowed at best, the woman for whom he would gladly die a hundred times over for would rather spit on him than look at him. I’m starting a weekly feature called Tuesday Toolbox, where I’ll post about something essential to the writer’s “toolbox.” Since I’m starting on New Year’s Day when everyone’s making their New Year’s resolutions, it’s only fitting that I make today’s post about goals. I am a huge fan of creating writing goals. Goals keep me on track and focused on where I’m headed. Does that mean I meet all my goals? No. Does that mean I can’t deviate once I’ve made a plan? No. My vision for what I want is always evolving, sometimes as soon as I commit my goals into writing. I don’t sweat it. I simply revisit and revise my goals and, most of all, try to understand why they’ve changed. Because of a new writing project a publisher has offered me? Excellent. Because family life intrudes? It happens. Because I’ve been spending all my time on Facebook? Time to reevaluate my priorities. I have a spreadsheet where I make monthly goals. I list which books I want/need to draft, edit, promote, brainstorm, write a synopsis, etc. Then I have daily goals that I sometimes write in a calendar, sometimes keep in my head. If I’m writing a draft, my goal is usually to write a minimum of 2,000 words each weekday. If my editor is expecting edits, I need to set other projects aside to work on those. Goals can be as elaborate or as simple as you like. You can shout them to the world or keep them just for you. I tend to keep these things private, but I’m also internally motivated. If you need external motivations and deadlines to keep you accountable, share your goals with people you know will come back and ask you if you made your goal. Here’s another idea: My local writing group has a “goals bag,” where each person writes a goal for the month and paperclips a dollar to it. If you don’t make your goal, you automatically lose your dollar. If you made your goal, your name goes in a hat with the names of all the other people who also made their goal, and one name is pulled out who win all the dollars for that month. Band together with a group of local writer friends, and give it a try! Do you set goals, and do you have any tricks for keeping yourself accountable? I’d love to hear them.